A workshop was held in Da Nang on January 16 to discuss the roadmap for building the central locality of Vietnam into a child-friendly city in the future. It was attended by representatives of the Department of Child Affairs at the Ministry of Labour, Invalids, and Social Affairs; the UN Entity for Gender Equality and the Empowerment of Women (UN Women); World Bank; and Vietnamese and foreign non-profit organisations. The Child Friendly Cities Initiative (CFCI), launched in 1996 by UNICEF, has been carried out in 31 countries to address challenges to the implementation of children’s rights. It promotes relevant sides’ efforts to build child-friendly communities. Da Nang authorities reported that with the assistance of international organisations, the city has invested resources in child affairs. With all communes, wards, and districts in Da Nang now assigned workers in charge of child affairs, there is a total of 1,000 child care coordinators across the city. All local schools have student support teams. The city has also provided monthly financial aid for nearly 2,000 children with disadvantages. However, it also admitted that child support services remain modest, and the number of underprivileged children and those at risk of suffering from disadvantages is on the rise. Meanwhile, violence in schools, child neglect, and problems in ensuring safety for children in cyber space still persist. 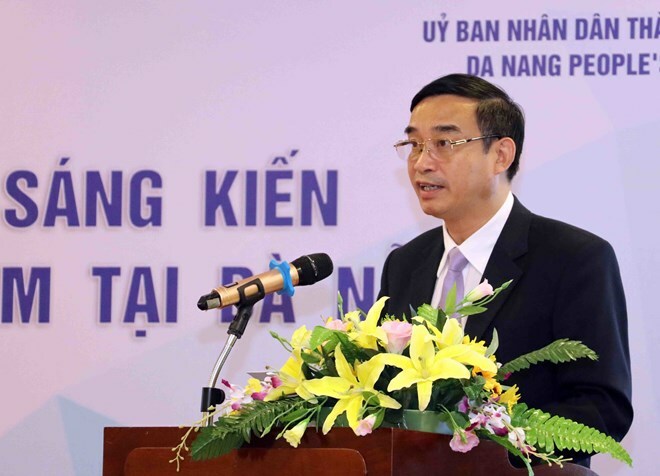 Vice Chairman of the municipal People’s Committee Le Trung Chinh said Da Nang will push ahead with programmes and action plans to turn it into a child-friendly city recognised by UNICEF. It hopes to receive assistance from international organisations to attract resources and the participation of relevant sides to this work, he noted, adding that the city will work closer with UNICEF to build a cooperation framework, with the CFCI serving as the basis for the following steps. Lesley Miller, UNICEF Acting Representative in Vietnam, spoke highly of what Da Nang has attained in child care, voicing her hope that the city will continue realising the child-friendly city criteria, while implementing its sustainable development strategy in the time ahead.